A Brush with Kindness (ABWK), Habitat’s home repair program, helps preserve homeownership by partnering with homeowners struggling to maintain their home. When basic expenses exceed income month after month, home maintenance is the usual casualty. Years of deferred maintenance can cause a downward spiral of home deterioration and unsafe living conditions. A Brush with Kindness program partners with families who need assistance with minor repairs, painting, safety and accessibility upgrades, and other home maintenance. Who is eligible for help? To be eligible, you must complete a Homeowner Application and have a family income below 60% of Twin Cities Area Median Income (AMI). The home must be owner-occupied and well matched to program resources. All able homeowners must work alongside volunteers. Apply online or download the application. Rebuilding Together brings volunteers and communities together to improve the homes and lives of low-income homeowners. They provide critical no-cost home repairs for homeowners in need – particularly older adults, individuals with disabilities, families with children, and active and retired members of the armed services. Work includes weatherization & energy efficiency improvements, safety and accessibility modifications, and general repair & maintenance. Download an application for the specific program or call to request an application be mailed to you. This non-profit provides exterior painting and home improvement assistance for senior and physically disabled homeowners. Assistance is provided at no cost and is completed during Program Day events in May and September. Download a homeowner application or call 763- 502-1000 to request that an application be mailed to you. Review the eligibility requirements and complete and sign the application. Project for Pride in Living (PPL) offers emergency repair help to qualifying homeowners. They arrange for home repairs and pay up to 75% of the costs (up to $500). Loans are forgivable under certain conditions. The Emergency/Accessibility Loan Program provides interest-free loans of up to $15,000 for needed accessibility improvements or emergency repairs. Home Repair Loan Program is a state-funded way for low-income homeowners to stay in their homes and live safely in them. Interest-free loans of up to $27,000 are awarded for needed home repairs. Metro Paint-A-Thon is a volunteer service that provides free house painting to older adults and people with permanent physical disabilities. Eligibility requirements and timeline . Dayton’s Bluff NHS has several home loan programs and a senior homeowner grant program. Properties must be owner-occupied with no more than 4 units. 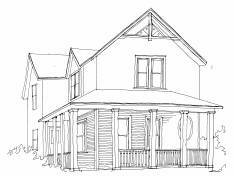 East Side Revolving Loan Fund provides low interest loans for housing renovation. Minnesota Housing Fix Up Loan provides secured and unsecured loan options for home improvement financing. Minnesota Housing Rehabilitation Loans are for basic and necessary home improvements. Senior Homeownership Preservation Program Grant provides matching grant funds and construction inspection and management services to enable senior citizens to make simple home improvements/modifications that will allow them to remain in their homes/age in place. NeighborWorks Home Partners provides home improvement loans to home owners in Saint Paul with income at or below 120% of median. Their construction specialist will help you prioritize based on your needs and budget. All current loans are secured mortgages, but grant funds are occasionally available. In the event of an emergency repair need, call NeighborWorks Home Partners for help finding the quickest resolution possible. NENDC offers low-interest home improvement loans. Eligibility requires that you own your home, live in the NENDC service area, and meet income guidelines. Special circumstances, such as extraordinary medical expenses, additional cost of lead abatement work and the particular location or condition of your home may qualify you for the deferred loan program. The Greater Metropolitan Housing Corporation’s Housing Resource Center offers low interest loans including the Minnesota Housing Fix Up Loan. These loans can be used to repair, remodel or keep your home warm. Contact the HousingResource Center for the current interest rate and income limits. There are a variety of home improvement and energy efficiency loan programs available on a citywide and neighborhood basis. Eligible improvements include basic and necessary improvements such as accessibility improvements, correction of lead-based paint hazards, heating systems, windows, electrical and roofing. The Minnesota Housing Finance Agency (MHFA) offers low interest loans of up to $50,000 to fix up owner-occupied homes. You must have a maximum household income of $99,500 unless the improvements are being made for the accessibility of a family member who is disabled or for energy efficiency. Decent credit is also required. Call MHFA today for a list of local Fix-Up Fund lenders. The Energy Fix-Up Loan makes key energy system improvements possible at a low interest rate through the Neighborhood Energy Connection. Install a new boiler or furnace, add insulation, replace your central air, or update your water heater or light fixtures. Minimum energy efficiency performance standards apply to the items financed. Loan amounts $2,000 – $15,000; available to Saint Paul homeowners of all incomes. Click to find more information and all forms . Home Energy Audits: For just $70 (fee waived for customers who qualify for Energy Assistance) a professional energy squad will install door weather stripping, energy-efficient light bulbs, a programmable thermostat, water heater insulation, water-saving shower heads and faucet aerators, and smart power strips in your home. Don’t wait – get the Energy Squad to help your home today. Find all you need to know to get started. Community Action of Ramsey and Washington Counties offers energy assistance to households that make 50% or less of the state median income or 110% of poverty, whichever is greater. Services include bill payment assistance, home energy crisis intervention, outreach to vulnerable populations, energy advocacy, information about utility consumer rights, and referrals to our Energy Conservation department and other community agencies. With this FREE program, you will schedule a time for a crew of four firefighters to visit your home and ensure you have working smoke alarms and a carbon monoxide alarm. If needed, they will install new smoke alarms, a carbon monoxide alarm, and Stovetop Fire Stops for you, FREE of charge. They can also help you with planning your family’s escape plan, cooking safety, general fire safety tips and much more! Find the request form online or call for more information. The Minnesota Department of Labor and Industry has a lot of information on residential building contractors. One of the many resources on the site is a consumer information area, which includes an online consumer guide. Check out this resource before jumping into a new project!